Having exhaustively thrifted our way around town (and Morris, on the way), stir craziness set in after one night. 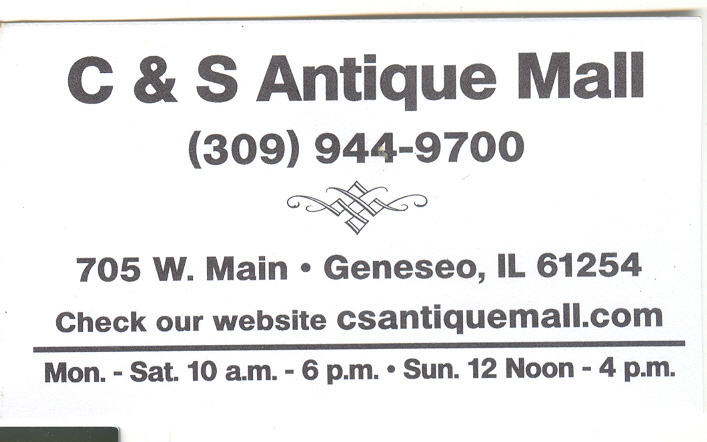 With a lazy Sunday upon us, I found an antique mall in nearby Geneseo, about 30 minutes away, and we set out. 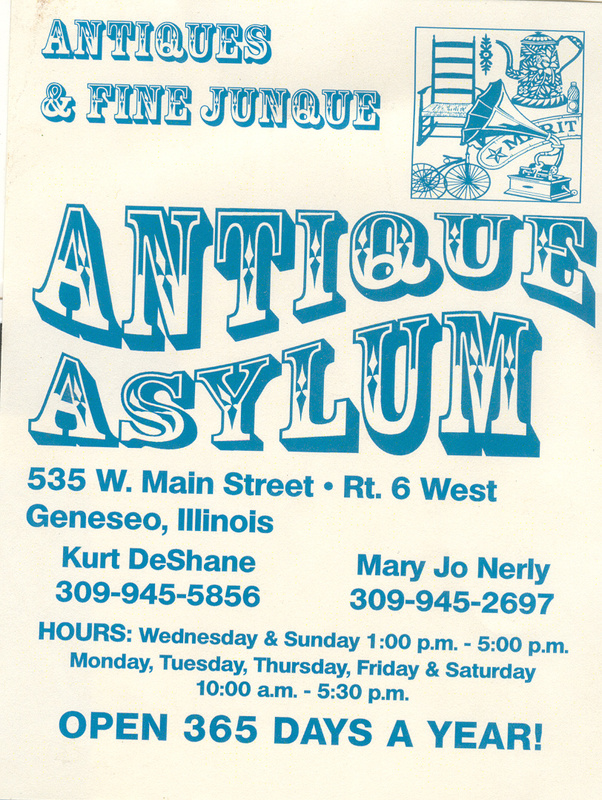 As we came down Route 6, we screeched into the parking lot, caught off guard by what we now know was another totally unrelated antique mall just a few doors away from our actual destination. 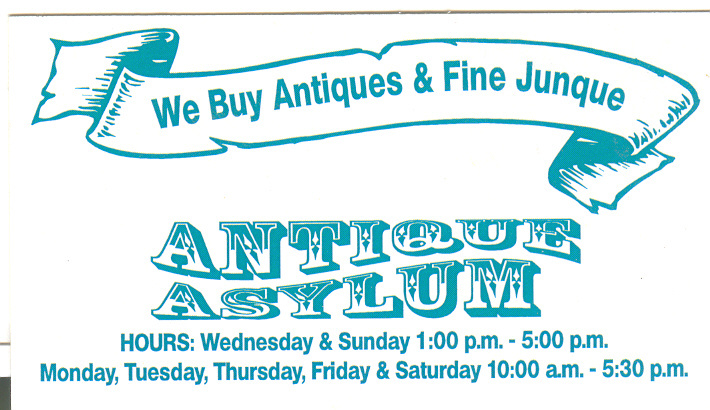 C&S was peeking around the corner - but here we were at Antique Asylum! In we went - even the foyer was filled with their wares. We marched through and after a friendly greeting from the presumed proprietor we peeled our eyes in search for the goods we pursued. Before long, I hit a two tiered shelf of records jammed in a bookshelf. The gods shone down upon me; after I complained recently about my girlfriend's copy of 'Look Around' with retail sticker, I found my own replacement copy with the shrink wrap (albeit opened) tight as a drum. Far from a consolation prize...while it might not have been something new and exciting it would suffice if I could find nothing else. But we were far from finished. Pyrex was EVERYWHERE - I quickly made my decision on a beautiful 'Early American' refrigerator container which I have been eating my tempeh fried rice out of for two days now, back here at home. My girl just seemed to find piece after piece, there was no end. I almost lost interest in digging through records until she called me over to another booth to have a look at some stuff she thought I might be interested in. She had set aside a copy of a Verve classic which had no price tag - I honestly considered leaving it behind lest I have to tolerate the clerk telling me it is $25 (which it very well may have been based on its condition and other details I would find out much later). Still, I added it to my heap and figured I'd roll the dice, and turn it away if need be. But as I looked over her shoulder, within this tiny stack of records (less than 10) I had to reach out and seize her - it was a copy of the proto-Fleetwood Mack record I have been looking at for years. I've never seen a copy up close - at least not in a 'thrift' environment - and this one as well was not priced! I racked my brain to try and figure out if I was making a mistake and my memory had failed me - was this a reprint? I swore none existed. Unsure of its value or rarity I picked it up anyways. This record was so out of the blue I had begun to question my own knowledge. Time would tell I had no call to do so! 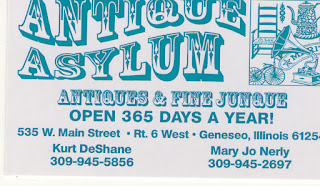 We looked at some other booths and records/Pyrex and then eventually made our way to the counter. 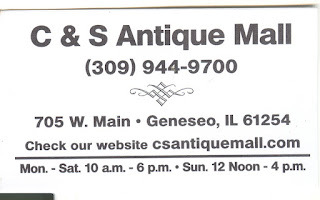 Usually antique malls work on clearly tagged items for the purpose of the consignment that brought them there: they will be marked with not only the price (set by the individual sellers, not on site, not the proprietor) and the booth#. 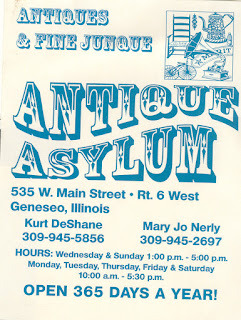 Antique asylum was a bit more hap hazard, unless I was misunderstanding this system had broken down to say the least. When the clerk got to the records, he asked where I 'got' them. I vaguely tried to reference the booth, or the vicinity, I told him 'there, in the back'. 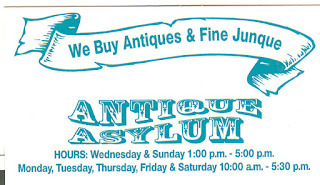 The place is pretty big....the booths even were not clearly numbered (not that I feel this would be my responsibility to memorize - I've been to much larger and much more organized antique malls before). "So these are $1, right?" 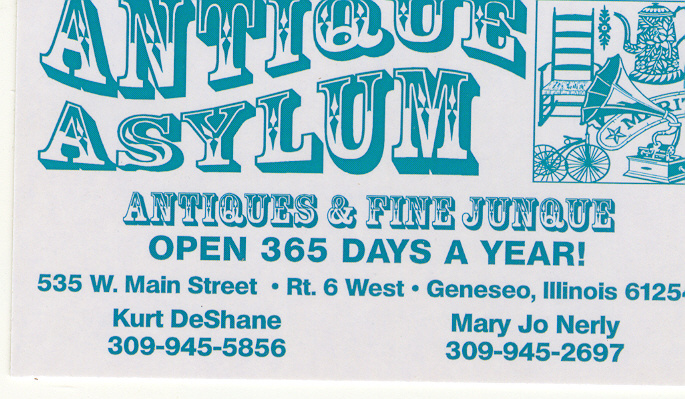 I can't say I lied - it isn't like I removed the price tag or something (though I am not necessarily above that, at least not in a junked out thrift store). I half mumbled something about them not really being marked at all and before we knew it, he had charged us $3 for my three records plus a Monkees record my girl had grabbed for a total of about $45 which included the bulk of Pyrex we were carrying out. When I got home, I began to peruse the 25 different versions of the Verve record to figure out which was my own. In overwhelming situations like this, I always immediately eliminate the non-US versions and any promos. Of course, I very well may have a promo (or an import) but before I even begin to closely examine it I assume I do not. Well I dug through the remaining 6 versions and was troubled by the fact that my copy did not seem to match any of them. I was most troubled by the odd yellow center labels on the record itself - I own 8 other Verve records and they all have the trademarked black center labels. Our of frustration, I pulled the record out of its sleeve (original inner sleeve in MINT condition) to have a closer look and noticed some very fine print at the bottom: DISC JOCKEY RECORD NOT FOR SALE. Oh my lord - I did have the promo! (It is mono as well). Perhaps best of all, once I gave it a listen I confirmed what I already had figured to know: it is MINT! The jacket has so little wear it is almost concerning but when you drop the needle and hear not a crack or pop you know you have something special when the record will be 50 years old in 12 months. Score of a lifetime! Best of all is the succinct (to say the least) review posted by a discogs user who's collection and reviews are all Jimmy Smith oriented (he may be biased). Quite simply, one of the best jazz albums of all time. The Buckingham-Nicks album took even longer to figure out which version I had (there are 30). By no means do I rely on the discogs marketplace to value my collection (nor do I collect for value anyways) but it is nice to see the last copy sold for $20 and someone has one up now for $85. The cheapest copy from any version is $20 and it quickly escalates from there. I knew all this all along - which is why I did not and still cannot believe I got it for a buck. I must admit the jacket has some water damage but the vinyl is pristine. Hell of a buy. After that we trudged on down the road to C&S. The pyrex situation there was totally out of control - found full sets of so many bowls I could not believe it, many patterns I have never seen before. But I am not in the market for sets, I want to build them myself so I did not buy any Pyrex. I did not buy any records either as none of it interested me but my girl lost her mind over finding a Leonard Cohen classic she apparently has been hunting for a long time. Like my stops in Kewanee, the initial hunt trumped the second one badly. But I try to leave no stone unturned - if you tell me a place has nothing, I'll just go ahead and find out on my own.